A look at the shop windows with their new fall/winter collections states the trend: animalier is back, in an ecological version. And so, spotted, leopard and zebra stripes, a mix of unique shapes that only nature can create, are reproduced and reinterpreted by Schmid with textiles and processing, absolutely eco and absolutely chic! Evergreenin the proposals of the great fashion brands, the spotted pattern becomes a kaleidoscopic fantasy on a glitter fabric and a lurex embroidery on tulle, leopard shapes become glamorous fantasies on lurex and on flocked sequins and zebra patterns become prints on velvet. 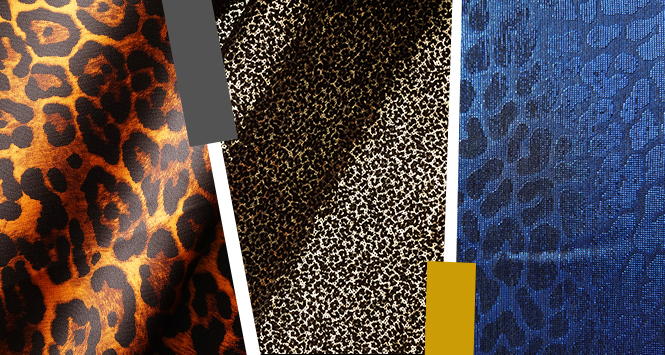 If you’re looking for any animalier pattern or more, contact us, we’ll be happy to show you the fullrange.